Natural candid shots of the groom, best man & friends. Bride arriving and walking down the aisle. Photos throughout the service & signing the register. Unlimited Group shots of family & friends. Natural candid shots of bride & groom in a location of your choice. Wedding reception venue, capturing all your unique wedding decorations. Entrance of bride & groom & sitting at top table. You will be able to view & pick your edited pictures from a password protected page on my website. Coverage starts at the bride's home (or at a location of your choice) capturing all the pre-wedding preparations. Photos throughout the service & signing the book. Natural shots of bride & groom in a location of your choice. A professionally created DVD slideshow set to music of your choice. 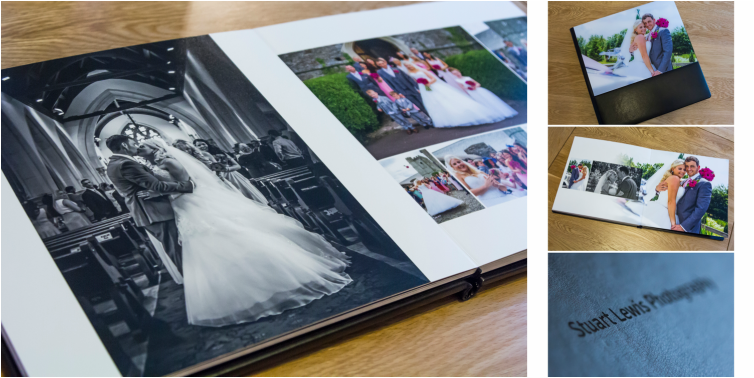 2 Photographers - all day coverage and a disk of all images with licence to print. Arriving up to 2 hours before the ceremony and shooting until 9pm, including the bride preparation. Two parents' albums - a copy of the main album but slightly smaller. 3 professionally created DVD slideshows set to music, with luxury cases. A USB of all images with a license to print them as you wish. 2 hours Photo Booth - 50 prints and USB of images. The groom, best man & friends. You will receive a disc/USB of approximately 400, or more, edited images ready for printing, they can be used to produce canvases or multiple albums. I ask for a £100 down payment when you book a date, this is non refundable. If you cancel a wedding date due to un fore seen circumstance, I will do my up most to arrange another available date. Full payment of wedding package balances must be paid no later than 8 weeks before the wedding date. Cancelation with in 6 Months of the wedding date will result in half the package balance owed. Cancelation with in 3 Months of the wedding date will result in the full package balance owed. I ask for a £100 non refundable deposit at the time of booking, your date is not booked until this is paid. The remaining balance has to be cleared 8 weeks before the wedding. With all of the above packages, the wedding couple will receive a free photo session at my studio in Mountain Ash before the big day & a 8x6 print free. This gives us the chance to get to know each other a little better and hopefully you'll feel more confident in front of the camera on the day of your wedding. Single prints are available to purchase.